Olivia Mehaffey had the lowest score, but teenage schoolgirl Annabel Wilson summed up Ireland's fighting spirit a with battling performance on the opening day of the World Amateur Team Championship at Carton House. Determined to back up a breakthrough, bronze medal-winning performance in Mexico two years ago, the Irish trio ended the opening day tied for sixth with Australia on three-under par, just five shots behind leaders Japan in the battle for the Espirito Santo Trophy. 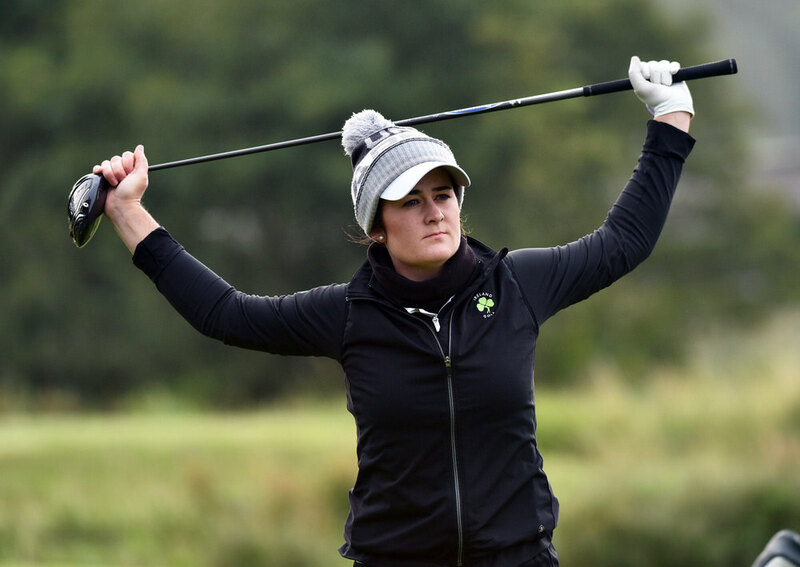 With Leona Maguire now a professional, Wilson and Mehaffey return to the fray for Ireland after their heroics in Mexico. And while a two over 74 was not what Lisburn's Paula Grant wanted from a tough opening joust with the bunker-strewn Montgomerie Course, Ireland had enough strength in depth with Mehaffey carding a two-under 70 and Wilson a one-under 71 to leave the girls in green very much in the hunt. Wilson is such a natural talent that she was blissfully unaware that playing partner Jennifer Kupcho was the world number one until she was told in a post-round press conference. “I knew the Americans were one, two and three but I didn’t know she was No 1,” Wilson said to gales of laughter. The American birdied the 18th to shoot 70 and beat Wilson by one, but a 72 for Lilia Vu and a 74 for Kristen Gillman left the USA tied for eighth and six behind Japan heading to the easier O’Meara Course today. Japan’s 17-year-old Yuka Yasuda shot a seven-under 65 on the Montgomerie Course and with her teammates both shooting 71, they hold a two-stroke lead over China, who played the easier O’Meara Course yesterday, on eight-under. 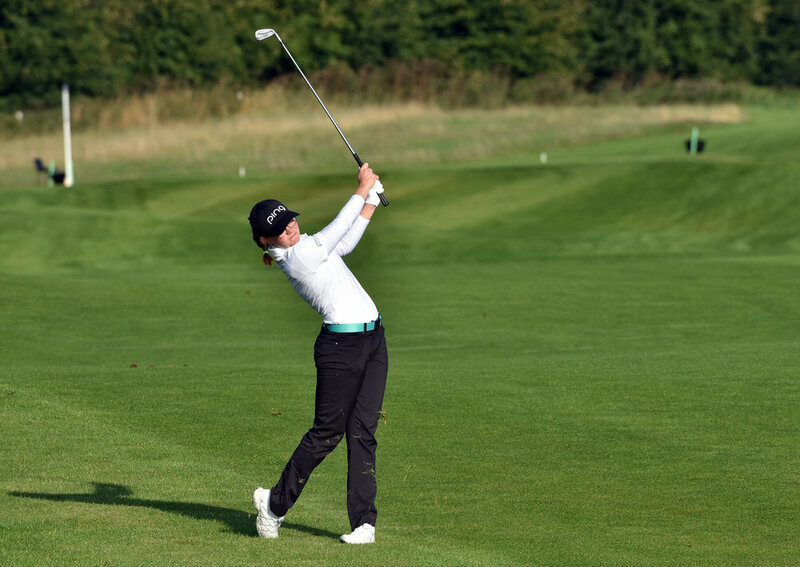 It’s little wonder that Irish captain Danielle McVeigh was proud of her charges with Mehaffey tied for eighth in the individual standings after making two great par saves from six and nine feet at the 16th and 18th as the wind freshened on the back nine. "The girls stayed very patient out there," said McVeigh. "The course threw a lot of challenges at them, so I think that really paid dividends, especially coming up the back nine. "They really ground it out well. So I'm incredibly proud of them and how they handled themselves." Mehaffey had the honour of hitting the opening shot as early morning fog was quickly burned off in bright sunshine. But while she opened with a nervy bogey, her nerves faded when she pitched straight into the hole from 23 yards for an unlikely birdie two at the third. "I was a bit more nervous than I thought," said Mehaffey, who birdied the fifth and lipped out with an eagle chip at the eighth to turn in two under. "I didn’t expect so many people to be out there at a 7.45am tee time on a Wednesday. "When I pitched straight into the hole at the third that gave me a wee bit more momentum, and I felt a wee bit more relaxed. I just pushed on from there and didn’t look back." Three-under after hitting a wedge to a foot at the 322-yard 13th, she had to hole a six-footer for par after a brilliant pitch at the tough 16th and a nine-footer for her par-five at the 18th after finding sand from the tee. "I have never played the Monty so hard," Mehaffey said. "It was really tough, and anything around even or one over is pretty good today. So it felt pretty good to shoot a couple under." Wilson admitted she struggled off the tee, but she was pleased to battle her way home in level for her 71 as she mixed birdies at the sixth, eighth and 15th with bogeys at the second and 13th. “I was playing with what I got and just kind of trying to poke them onto the fairway because some of them were wild,” she said with a grin. “My iron play was very solid, gave myself a lot of chances within 15 feet the whole way through the round. Grant was made four birdies but was left to rue four bogeys and a double bogey at the 12th as well as a lip out for birdie from four feet at the 17th. 100 O L Assaf (LBN).